Barrel, Knock rod Material: Recycled PC. Nose cone is recycled PBT. Grip Material: Sawdust+Resin (Sawdust is factory scrap from pencil manufacturing process). Recycled plastic material ratio of the total plastic weight is 47%. A good partner for a eco-conscious business people who need a lot in a short amount of time. 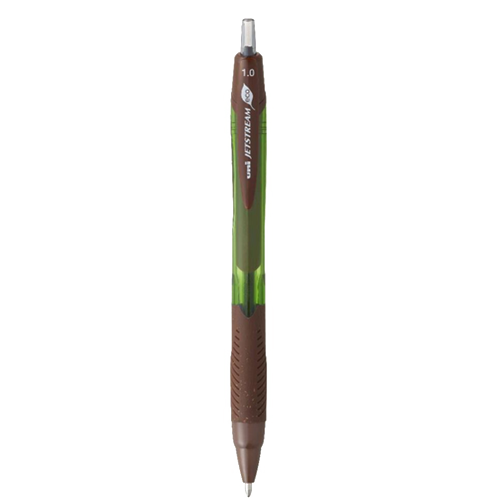 Quick-drying, no blurring, therefore suitable for signatures and left-handed people.